After this daring musical made its Big Apple debut on September 26, 1957, critics reacted as if an atomic bomb had gone off over Manhattan. The next day, Walter Kerr of The New York Herald Tribune wrote that “The radioactive fallout from West Side Story must still be descending on Broadway.” Theatergoers were stunned. Here was an edgy, electrifying show with some of the boldest choreography ever staged. An emotional rollercoaster from start to finish, Tony and Maria’s tragic tale has been moving audiences for over half a century. Religion and national identity would’ve driven the drama of East Side Story, which is what choreographer Jerome Robbins & composer Leonard Bernstein called the project they started working on in 1949. But eventually they decided that “the whole Jewish-Catholic premise [was] not very fresh” when they were having a poolside meeting in Beverly Hills six years later. Under the California sun, they decided to instead focus on—in Bernstein’s words—“two teenage gangs … one of them newly-arrived Puerto Ricans, the other self-styled ‘Americans.’” Because Manhattan’s eastern neighborhoods had been largely gentrified by then, their production was soon given its present title. 6. BERNSTEIN PLUCKED "ONE HAND, ONE HEART" FROM A COMPLETELY DIFFERENT MUSICAL. At the time, he was scoring West Side Story and Candide—which was based on Voltaire’s 1759 novella of the same name—simultaneously. Though Bernstein crafted “One Hand, One Heart” for that production, he repurposed it as a romantic duet between Tony and Maria. 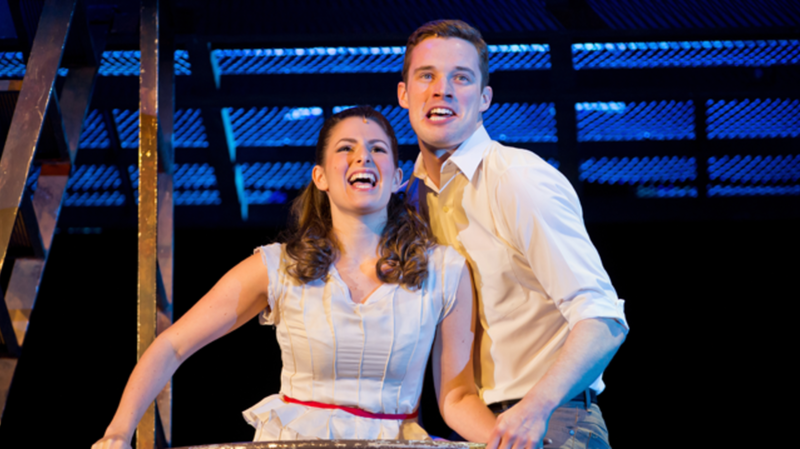 In exchange, "O Happy We," which was originally a duet for West Side Story, moved to the first act of Candide. 7. “SOMETHING'S COMING” WAS WRITTEN LAST-MINUTE. 8. AUDREY HEPBURN WAS TAPPED TO PLAY MARIA FOR THE FILM VERSION. 9. WEST SIDE STORY'S 1961 CINEMATIC ADAPTATION SET AN ACADEMY AWARDS RECORD. 10. A BILINGUAL REVIVAL OPENED ON BROADWAY IN 2009. Laurents joined forces with producers Kevin McCollum, Jeffrey Seller, and James L. Nederlander to retell the story he’d helped craft over 50 years earlier. This time, he leveled the playing field. “I thought it would be terrific if we could equalize the gangs somehow,” he explained. By letting the Sharks speak and sing in their native language during large chunks of the musical, Laurents hoped to do exactly that. Like the original, after a run in Washington, D.C. the show moved to New York, where it ran for 748 performances, wrapping up on January 2, 2011.